In this tutorial we’ll help you add custom font (not Google font) in our theme. You can do similar with other element if needed. 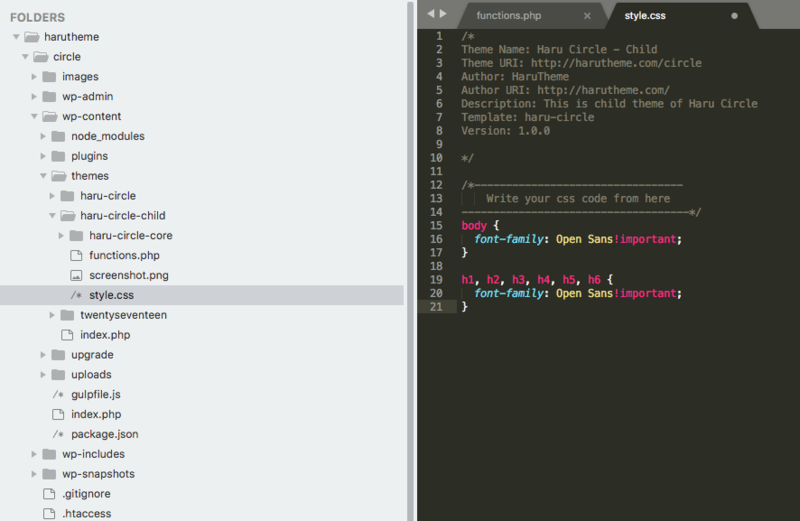 Step 5: Go to Theme Options -> SCSS Compiler and Enable it. Resave Theme Options twice to generate new style-custom.min.css file. Clear all cache and see changes. In this tutorial we use theme Haru Circle – Multipurpose filmmaker wordpress theme . This theme also can use for wordpress video theme with 10+ home page and beautiful design. Hope this will help you all can easy add custom font in our theme! This topic was modified 1 year ago by admin. This topic was modified 3 weeks, 3 days ago by admin.